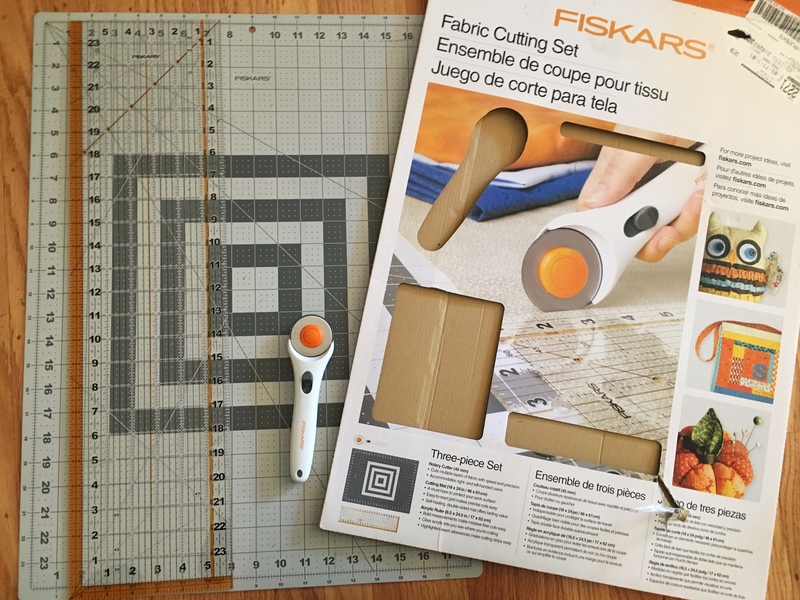 My husband bought me a Fiskars Fabric Cutting Set for my Birthday this year, per my request. I needed one because every time I cut material for sewing my lines are SO crooked. Not sure when I lost my skills to cut straight. This was becoming a problem for me. 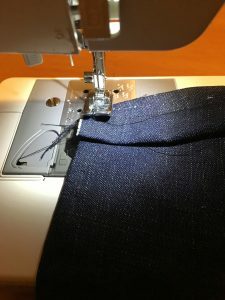 I only started sewing 7 months ago after buying a beginner machine, the Brother XR3774 (which I love!) 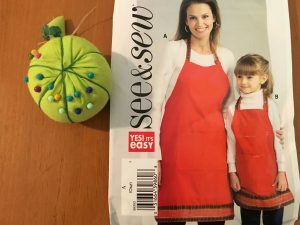 and taking a 2 hour “How to Sew” class at Jo-Ann’s. 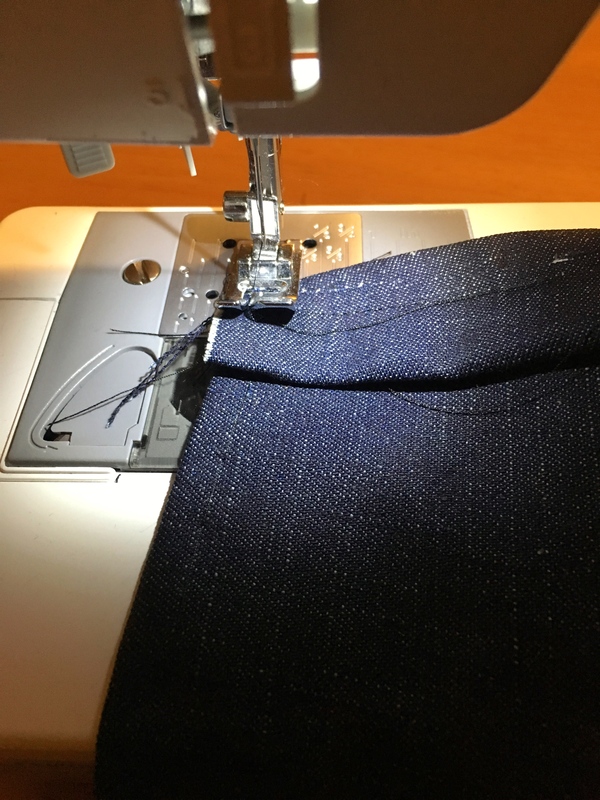 Now that I’m a stay a home mom, I figured I should learn how to sew, right? It’s the Stay At Home Mom 1950’s stereotype. We sit around playing Bridge with our friends, keeping a clean house, cooking dinner, and sewing. Well, I don’t play Bridge and my house is a mess, but I thought maybe I could learn how to sew. 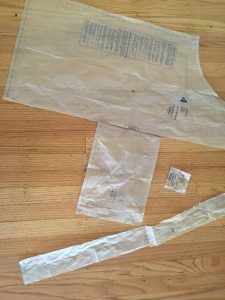 My MIL had some bathing suit ideas that she was working on, so I thought it would be helpful to assist her if I knew how to sew. Besides, sewing seemed like a useful hobby and a way to save money on curtains, doll clothes, etc. 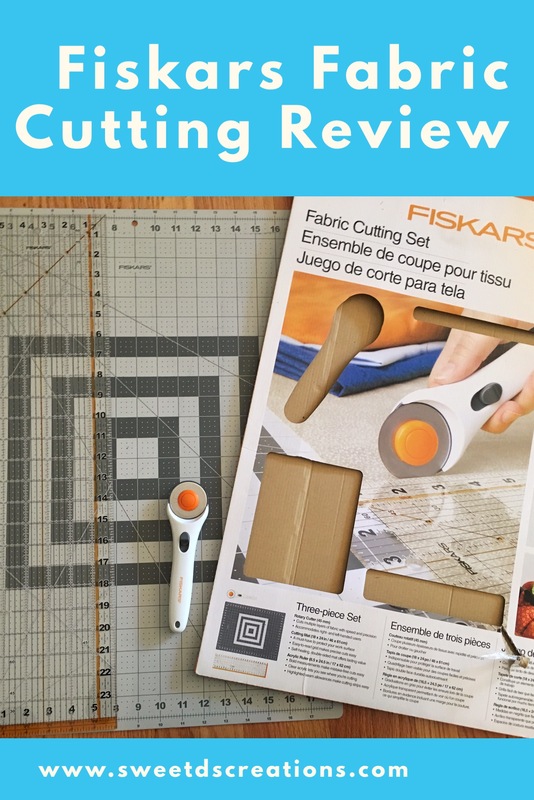 I was so excited to use the Fiskars Fabric Cutting Set for the first time. 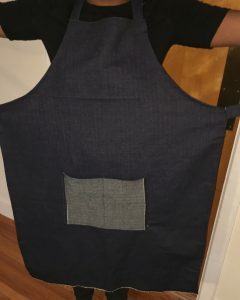 My husband had asked me to make him an apron and I was looking forward to cutting the lines straight for a change. Well, after using the Fiskars Fabric Cutting Set my lines were still NOT straight. Was it easier than scissors? Yes. Let me review what it has and what works well and what does not. What comes with the set. Handheld Rolling Cutter – This is nice, because the blade has a cover that comes out by pushing the button on the side. Keeps you from cutting yourself. The cutter is light and fits well in my hand. A Measuring Board – Helpful because there are measurements on all sides. The downfall is that the board is a little too small. 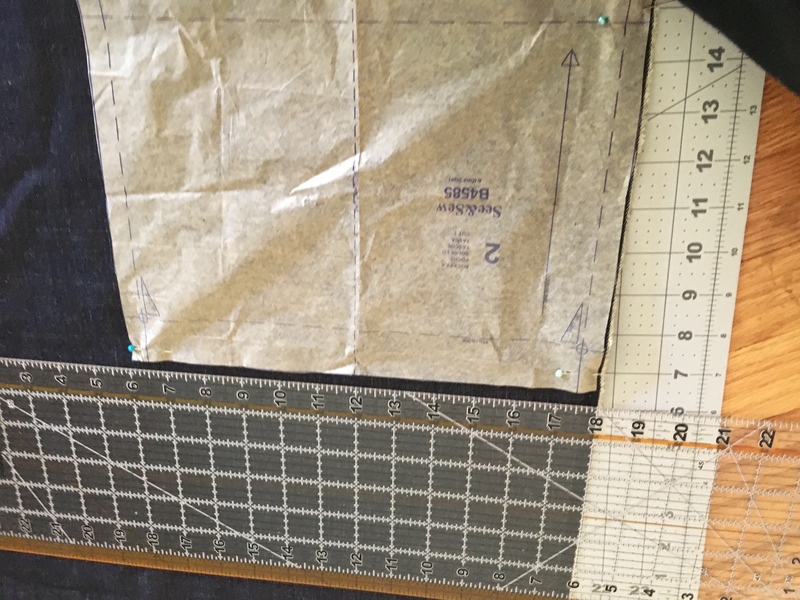 My husband is tall, so I had to move the material to cut the entire piece of fabric on the board. 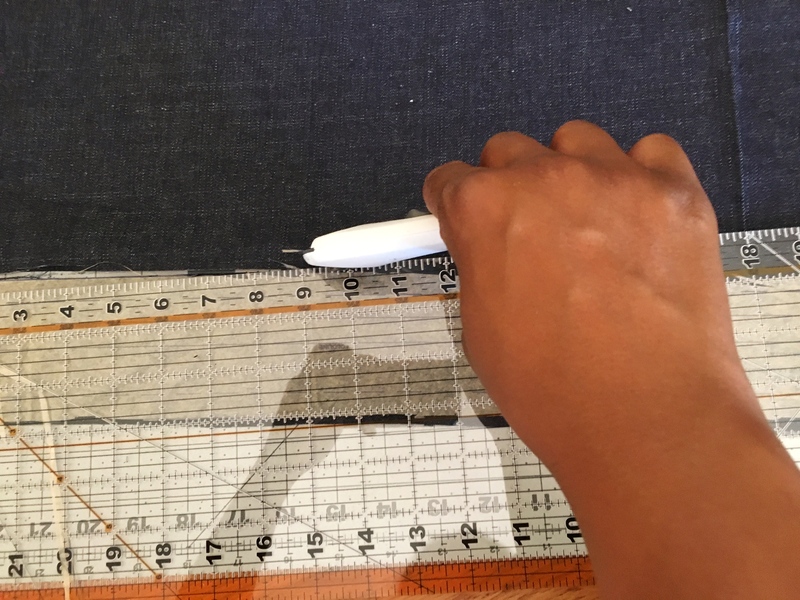 Long Plastic Ruler – This is useful to help measure and draw your line on the fabric. I also used it to cut the fabric. The issue is that the ruler can move so you have to be very careful to hold it in place while you’re cutting. As stated above, I used the Fiskars Cutting Set to make an apron for my husband. 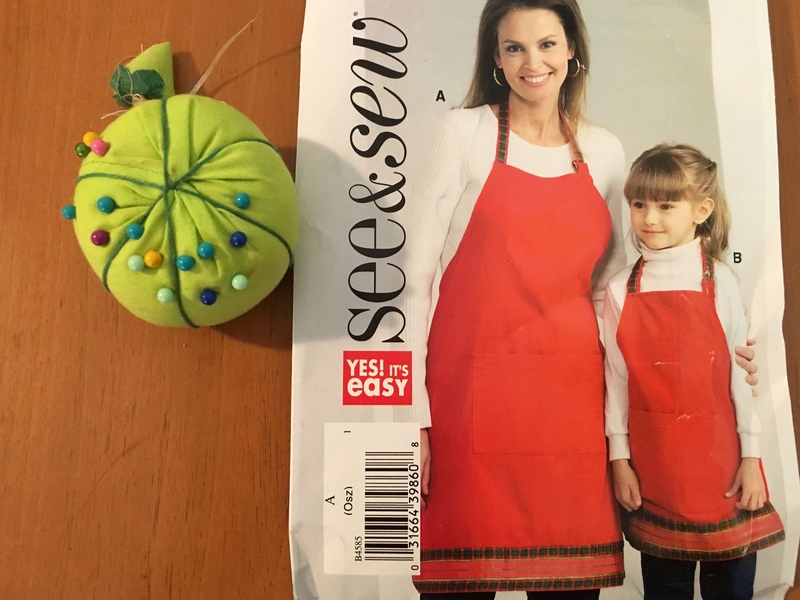 I bought a See & Sew pattern, read the instructions and got to work. 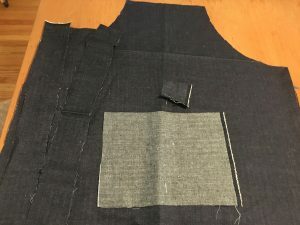 I first cut the pattern out using scissors. 2. 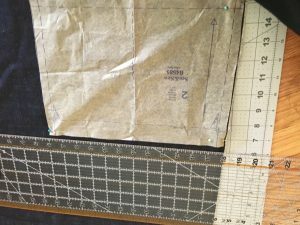 Following the pattern instructions, I cut the pattern paper following the lines on the paper. Next, I first drew the pattern on the fabric, and placed the fabric on the Fiskars cutting board. 3. 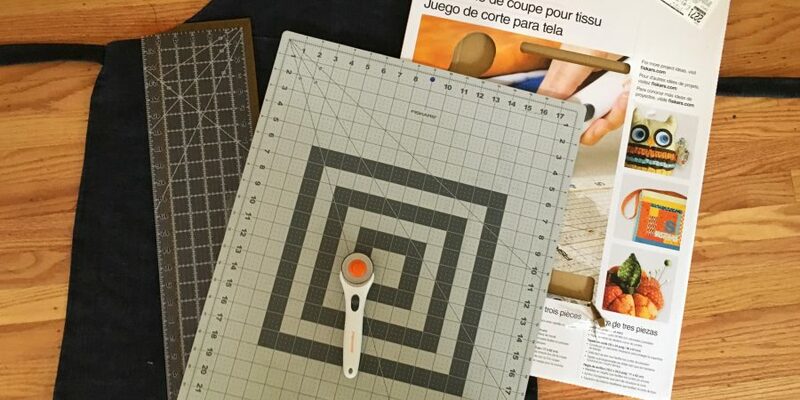 Using the Fiskars rolling cutter and the ruler. I cut out the different pieces. An issue I ran into was that I had to go over the fabric multiple times with the rolling cutter to cut all the way through it. I was using denim, so maybe it was too thick. Also, sometimes, my hand would move the ruler while I was cutting, causing me to end up with crooked lines. 4. After cutting out all my pieces of material, I STILL had crooked cuts. However, using this set to measure and cut WAS easier than just using the scissors and a 12 inch ruler. It was also nice having a board to cut the fabric on. It would have been nice if the board held the fabric in place while I was cutting. 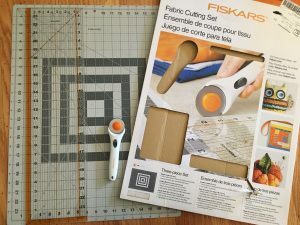 I do plan to use the use the Fiskars set again on my future sewing projects. 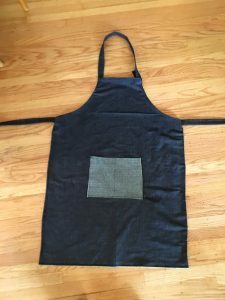 I mean, I DID, in fact, make a pretty good looking apron. My husband was happy and it fit him well. 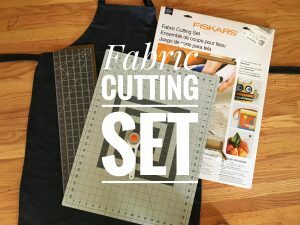 What do use to cut straight fabric when you sew?